We are under sanctions from the United States, the European Union and other Western outposts like Australia, New Zealand and Canada, and the ruin of the sanctions is without doubt. Our industries have hardly been functional for almost two decades, our hospitals are in a sorry state as the recent revelations from Parirenyatwa Hospital clearly show, our education system has been on a downward spiral since 2000, and the list goes on and on. Cuba sits 90 miles from the United States, and at the peak of strangulating sanctions from that monster superpower, Cuba developed its healthcare system to become the referral centre of Latin America, with countries like Colombia, Bolivia, Venezuela and others relying on the Cuban healthcare system. We too had Cuban doctors here, and a lot other African countries had them too. We sent our people for teacher training in Cuba at the peak of US sanctions on Cuba. We could go on to talk about Cuba's tobacco industry, its sugar industry and its tourism. All these sectors continued to grow under Fidel Castro with sanctions being renewed every year in Washington. The more the Cubans were persecuted and sanctioned the more they resiliently found alternatives to bust the sanctions and build a thriving economy. We tell ourselves that our economy is so indebted to the West that with Western sanctions every single thing comes to a halt. Frankly that is stupid. For how long shall poverty, death, starvation, malnutrition and hopelessness be associated with African development, and why? What have we done as a people to show that we can find alternatives to Western aid, loans, grants, benevolence and goodwill? How come we talk about sanctions when we are explaining our poverty; but they are never a factor when we purchase luxury cars for the executives in our Government? Do we have the right priorities in place? Have we really been serious as a people about developing our own systems? Have we really tried to copy the Chinese, the Malaysians, and the Indians in developing innovation among ourselves? Or we believe these people must innovate and make money so they can share whatever they make with our sorry selves? Do we go to these countries to borrow ideas or to borrow money? What is so complicated about extracting chrome from the ground and selling it off? What is so complicated about utilising a farm and selling the produce to markets other than the West? What economic sanctions will stop crops from growing on farms? What is so complicated about cleaning our own cities so we do not have dirty streets breeding cholera bacteria leading to our own deaths? We had alluvial diamonds at Chiadzwa and what did we do with them? How did we contextualise their national benefit relative to the sanctions? Did we think of our hospitals, our schools, our pensioners, or our infrastructure? What were our priorities? Did we invest the proceeds to support other industries? Was anyone in Government even thinking? When former indigenisation minister Saviour Kasukuwere lied about the Community Share Scheme and displayed fake multi-million-dollar cheques for the community did we do anything to punish him? This is the sad story about Africa. We have inherited a bloody colonial system that cripples us hopelessly. The West knows we cannot do without them, and that is how they keep screwing us. Imperialism is a reality meant to benefit countries with lesser resources in a very competitive world, and the West is not responsible for our foolishness.We have to take responsibility for our condition. Credit lines in and of themselves cannot make us Africans an innovative people, and we must understand that loans to a people with a consumerist mindset will only create perpetual dependency, not wealth. Kenya might lose Mombasa to debt owed to China, Zambia might lose its national assets too, and Uganda as well. We are good at borrowing billions to spend, spend and spend. Even the infrastructure will build will always be underutilised, because we are just lazy to develop ourselves. We cannot even emulate the Western political systems correctly. Let us look at elections in our continent. For how long shall violence and bloodletting be associated with elections in Africa? This is a question most Africans concerned with how the continent is governed have been asking since the fall of colonial empires in the early 1950s. We are tired of the script of incumbent leaders embarking on constitutional manoeuvres to retain power — leaders of political parties claiming personal ownership of the parties they lead, and even passing on leadership to their children or spouses. We are tired of hearing about privileged access to voters, vote buying, dodgy vote counting, intimidation, post-election riots, massacres of rebelling citizens, and so on and so forth. This is the dark shadow of African politics. We had post-election protests in Kenya in 2017 and over 20 people lost their lives unnecessarily. We lost six people ourselves on the 1st of August last year. We simply cannot hold any election where nobody can emerge as somebody without knowing anybody, be it at party level or at the national level. It really does not matter which political party one is looking at. The MDC Alliance, or whatever the party is called now; is heading for an electoral congress in May, and the chicanery and mudslinging is sickening. This is the party that calls itself the best we have on the land when it comes to emulating and practising democratic tenets. It is the "party of excellence", as we are told to fondly remember. Our politicians from across the divide want to influence democratic institutions so they can manipulate the electoral process in their favour. In 2017 we saw serious divisions in Kenya's electoral body, the IEBC. The head of the electoral body, Wafula Chebukati, said there were commissioners and IEBC officials "that must stand aside" to allow the possibility or prospect for a credible re-run election. The two main political parties, Jubilee and the NASA coalition, were at each other's throats, lobbying for or against the removal of the said officials. Clearly, the presence or absence of such officials had the same bearing — it favoured and enhanced the chances of either of the political parties, depending on what eventually prevailed. Our elections in Africa are a predictable script; so much that the electoral cycle now resembles a religious ritual, climaxing in the sacrifice of human lives. This is why African opposition parties will never accept defeat, regardless of how the election is carried out. Yes, we are beginning to have some kind of electoral order in countries like Ghana, but we are by and large still far from carrying out indisputable elections. We, the former 54 colonies fabricated by Europeans and Americans in Berlin in 1885, now call ourselves sovereign states, yet in that illusion of sovereignty, all we do is thrash to ashes the individual freedoms of our people, thwart their collective will, manipulate their rights and impose upon them the selfish desires of a powerful few. We do that within our own parties. 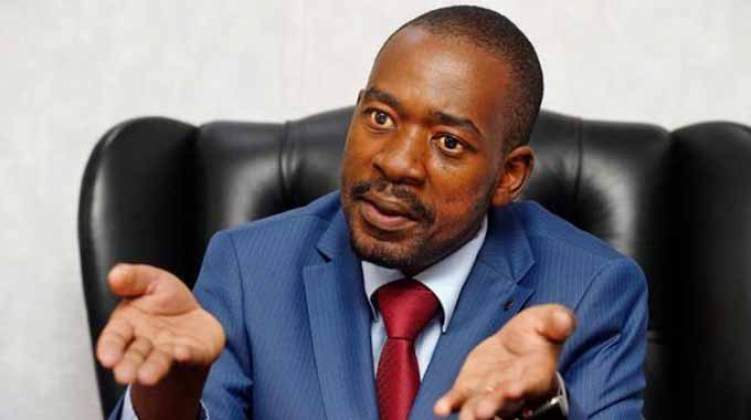 We love practising dirty democracy, and that is why Douglas Mwonzora is demonised for simply wanting to compete with Nelson Chamisa - the whole essence of democracy itself. At the dawn of independence, leaders like Kwame Nkrumah advocated for the abolishing of inherently anti-democratic and deadly systems created by the colonisers, but political stalwarts like Julius Nyerere and Jomo Kenyatta would hear none of that. Everyone was craving for fiefdom power in the very fabricated "countries" we call members of the African Union today. Now it appears our bloody elections are part of the tribute we pay for making a fetish of our colonial inheritance, and we proudly keep calling ourselves a self-ruling continent. How many countries in Africa contribute to the notorious list of electoral deaths? We have to come to a point where we must admit that our problem in Africa is systemic, and we can only solve it by adopting a new political order and system, not this tribal dichotomy created and promoted by the structure we inherited from our enslavers and colonisers. Libya's former leader, Colonel Muammar Gaddafi was passionate about this matter and part of why he was murdered by France, Britain and America was to thwart the dream of a United States of Africa. We have all the intelligence and facts around the matter of his death, which some of our own people celebrated. We must note that apart from the colonisers, Gaddafi's worst critics were within the continent, the likes of President Yoweri Museveni in Uganda, and even the South Africans under Jacob Zuma. We cannot solve systemic problems by improvising solutions. The reason Kenyans were openly fighting over who should be in control of the IEBC is simple. They simply do not get it when one talks of an independent electoral commission, or any other independent democratic institution. Now Uhuru and Odinga are busy pacifying each other with impressive pretences of bi-partisan unity, and we well know what is going to happen in 2022. There will be a disputed election result once again, regardless of who the winner will be, and most probably a little bit of bloody fighting, and a dozen or two unnecessary deaths. It is all very predictable. The Kenyans do not get the idea of an independent electoral commission not because they are not intelligent enough to comprehend the meaning of independent democratic institutions, but because they are not structured enough to understand the importance of nationhood and collectiveness of common purpose. We hardly have a national interest here in Zimbabwe, and that is why half of Harare supports Western economic sanctions against our own country. We are not structured to understand nationhood. America comes first, and Zimbabwe next, according to some of our own people. Africa requires solutions that go back to institutional causes; and surely eloquence of speech in emulation of Martin Luther King will not solve an iota of our institutional problems. We would hire Obama for a fix if that worked. We have malfunctions that are as serious as to cause predictable and regular bloodletting; and in such situations, what we need is a total replacement of the institutional order, not just pretending to be fixing some defective part. Kenya does not need to fix who sits where in the IEBC in order to correct the perennial challenge of electoral complications. We too do not need that with our ZEC in Zimbabwe. I am sure Nelson Chamisa already has his choice for ZEC chairperson and for very good political reasons too, not democratic ones. Kenya needs to understand that its governance is beyond tribal languages and identities, that its common destiny cuts across the tribes found in that country. We need the same understanding here, and we also need to understand that democracy sits above political parties, and after elections one single nation emerges and forges ahead for the mandated period before the next election. This puerile hotheadedness of pouring sand in the national food plate does not even rise to the level of nonsense. The image of Jomo Kenyatta on the Kenyan shilling must be seen as the image resembling the founding father of the Kenyan nation, not the face of a Kikuyu insulting the eyes of a Luo, as we heard when Kenyans were fighting over election results in 2017. There is no founding father of any nation who was ever born to every tribe making up that nation. We will never have such a leader in Zimbabwe either. Even George Washington had a tribe and a family far removed from the tribes and families of other Americans, but it would be foolish to argue for the removal of his image from the American currency on the basis of where he was born, and by whom. Perhaps the colonial state system has failed, or it has exhausted its potential. Perhaps it has become incapable of regeneration. We as Africans have inherited a bloody system and perpetuated it instead of correcting it. Do we have the capacity to reinvent ourselves and do things differently? When things come to a head, our leaders express shock, albeit feigned; and we always talk about bringing the contending parties together for peace talks aimed at getting the protagonists to share the power each sought to monopolise in the first place. Nelson Chamisa even wants to alternate shifts of governing the country with Emmerson Mnangagwa — like doing a daily roster for the two. We saw it with Kenya and Zimbabwe that the eventuality of power sharing is failure. What we gained at the time was the appeasement of politicians, not national development. This is despite what that weirdo who held the Zimbabwe Finance portfolio may wish to say before the cameras. It is consumerism that temporarily improved under the inclusive Government, not the economy. Consumerism is not what best finance ministers do; and it is just as good that John Mangudya publicly revealed the folly of our bragging giant. Well, he overruled the embarrassment, didn't he? All we had in Zimbabwe and Kenya was a recess and postponement of crisis to a later date; and both countries came to catch up with the reality of the initial crisis. We need to find out the real causal factors behind our democratic deficit. Our electoral processes in Africa are often violent because they are essentially desperate fights between ambitious elites in an impoverished population; and everything is turned into a fight for control over resources —a fight for power for its won sake. Scarcity is the biggest weapon of the African politician, not wealth, nor hope. This is why Nelson Chamisa says it will take him one phone call to Donald Trump, and every Zimbabwean will live happily ever after. He has no development plan whatsoever, he does not know what that means, and he really does not care. He knows there are people who will vote for him so he can telephone Donald Trump to give all of us here whatever we may so wish, forever and ever. This is the colonial legacy. We are dependent on imperialism, the successor of colonialism, and we cannot do anything for ourselves. We cannot blame Nelson Chamisa without blaming all of us. We are all stuck with Trump's sanctions signature as it is, and that alone means we too all believe Trump is the sole answer to our economic needs. We have to show the Americans that ZDERA or no ZDERA we know how to run our own economy. Zimbabwe we are one and together we will overcome. It is homeland or death! !